Christ's first miracle has given rise to much theological debate. Why was it a good idea to encourage the drinking of large quantities of wine? And why was Jesus so off-hand with his mother? 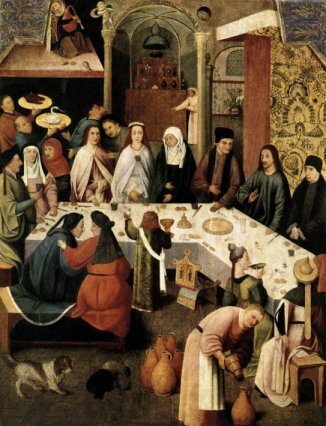 As far as the wine is concerned, it is suggested that the consumption of it at a wedding was considered a sacrament rather than just an excuse to get totally sloshed. 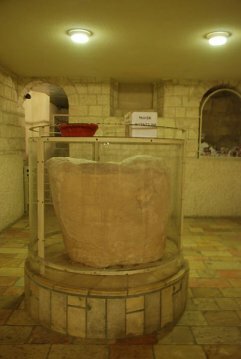 The conversion can be seen as a reminder of the turning of water into blood by Moses in Exodus, and a precursor of the Eucharist where wine is turned into the blood of Christ. Whatever the theology, there is no doubt that artists made the most of the possibilities, with some spectacularly over-the-top pictures, none more so than Veronese's. 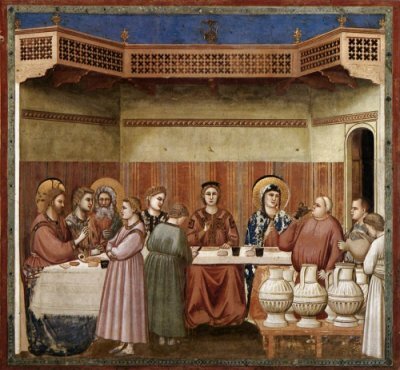 There is also humour here too; look at Giotto's portly steward having a swig. 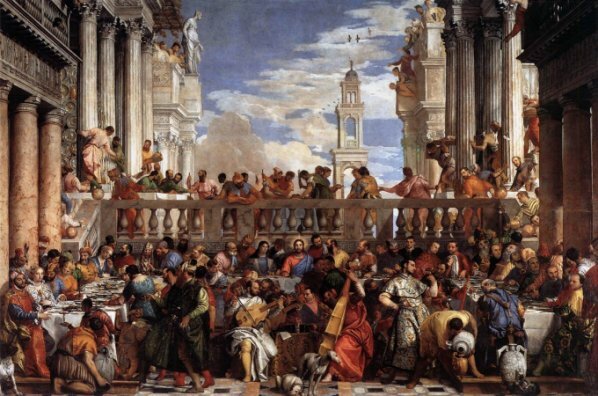 Around 120 gallons of wine seems more than enough, though perhaps not for Veronese. What is clear is that artists had no idea how big those jars should be. Two thoughts. Firstly, as a genuine relic, it's not very convincing - you wouldn't get 20-odd gallons in that. But . 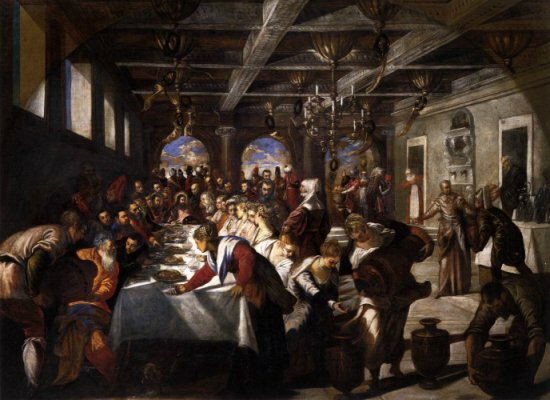 . . could it be that Tintoretto knew of it? There are many links between Venice and Ravenna. Compare it with the painting above and see what you think. 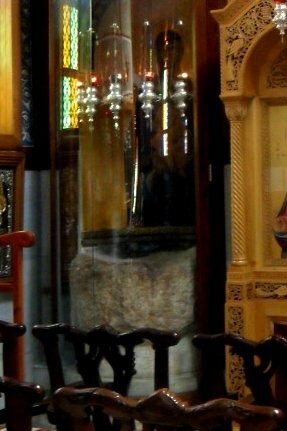 To see a more convincing jar you will need to travel to Kafr Kanna in Israel, the traditional (though not undisputed) location for the wedding feast. The relics on view there do hint, sadly, at the imperative to attract tourists. 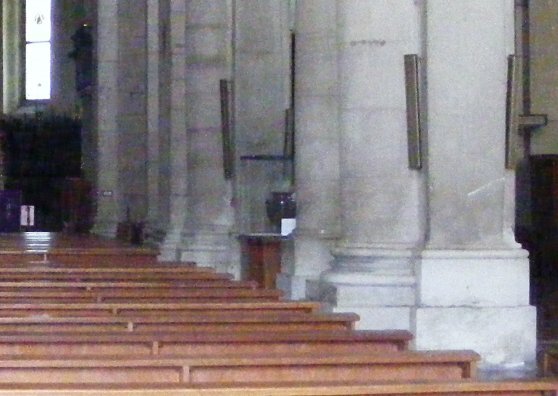 There are two churches, one Franciscan, one Orthodox, both claiming to be built on the site of the wedding feast. And, yes, you've guessed it, they both have a 'genuine' wine jar used at the biblical feast on show. Given that there were six, this is possible, I suppose. Inevitably, local wine (and jars to put it in) is now big business in Kafr Kanna. Well, good luck to them - making a living is never easy.